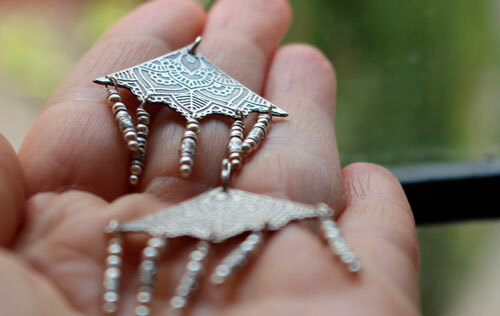 Nehal is an Indian name which means Rainy. 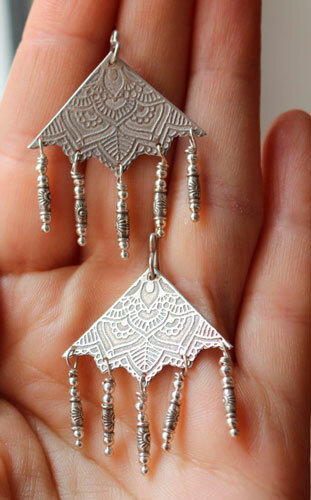 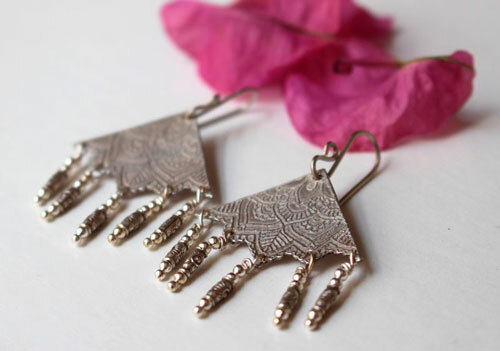 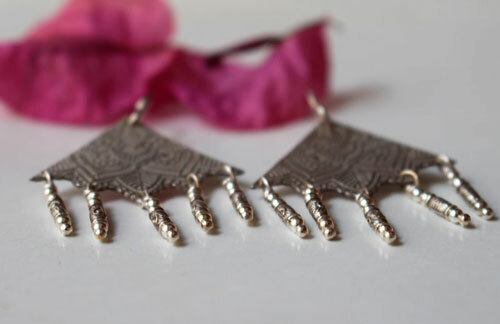 These triangle shape earrings were engraved with a flower mandala pattern. 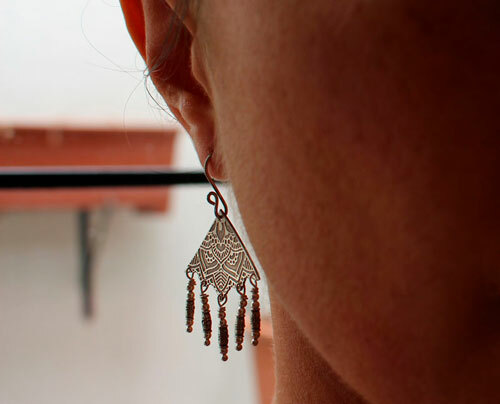 Sterling silver beads delicately swings from these earrings as if they were rain drops falling from your ears. 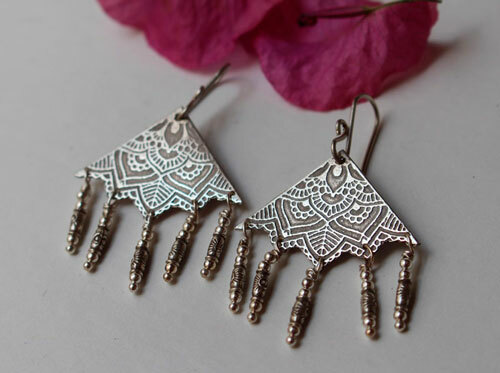 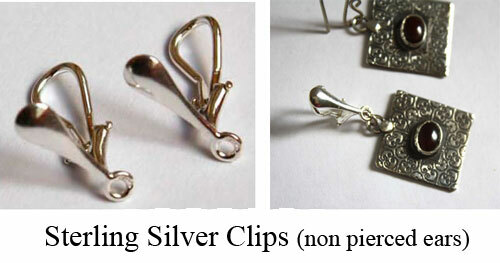 I will need 5 days to make your earrings before shipping. 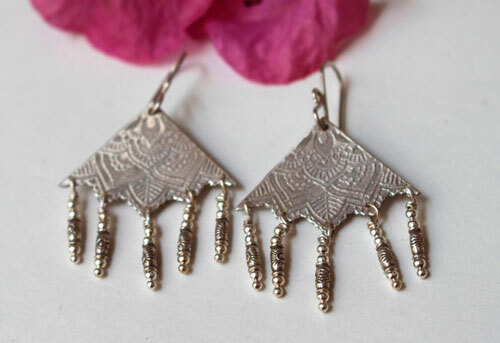 Tag: earrings, sterling silver, triangle, mandala, flower, rain, bead, pearl, teardrop, drop, indian, symbol, wedding ring, romantic, engagement, baptism, anniversary, birthday woman gift.